The National Baptist Convention, USA, Inc. (NBC), will officially announce its national deposit-raising campaign on Tuesday, January 15, 2019, at 10:45 a.m. at the Jackson Convention Complex during its Mid-Winter Board Meeting in Jackson, Mississippi. The event marks the launch of an initiative to open a NBC-founded credit union with a goal of raising $50 million over the next three to five years. The multi-year, multi-million dollar funding campaign is calling on NBC members and supporters to make individual federally-insured deposits with Self-Help. Once the Convention is granted regulatory approval, depositors may begin to transfer funds to the newly chartered NBC credit union. The partnership builds on an established relationship between NBC and the Center for Responsible Lending, the consumer advocacy arm of the Self-Help family of organizations. About the National Baptist Convention, USA, Inc. Founded in 1886, the National Baptist Convention, USA, Inc. is the nation’s oldest and largest African-American religious convention with an estimated membership of 7.5 million. Led by its president, Dr. Jerry Young, the Convention is comprised of churches in 43 of the 50 states and the Caribbean, representing more than 31,000 churches. 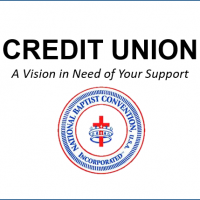 NBC membership participation is the key to the creation of the credit union. Learn more at nationalbaptist.com.